We all love watching Khloe & Lamar. It’s a guilty pleasure. But what if the show starring Khloe Kardashian and her basketballer husband Lamar Odom ended? Well, there’s talk the current season could be their last. Not because the pair are headed for divorce – but because Lamar is over being a reality TV star. You see Lamar doesn’t have the same appetite for fame as the Kardashians. The insider added ‘ Fame will always be more important than husbands and boyfriends‘. And that could ultimately tear the two apart. 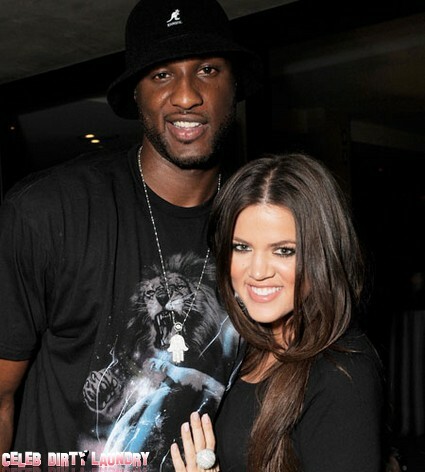 Lamar has a successful sporting career in his own right but Khloe is famous for being famous. Sure she helps designs handbags and some other bits and pieces – but she’s not a major star in her own right. But she does have her own TV show. And she’s going to fight to keep it.